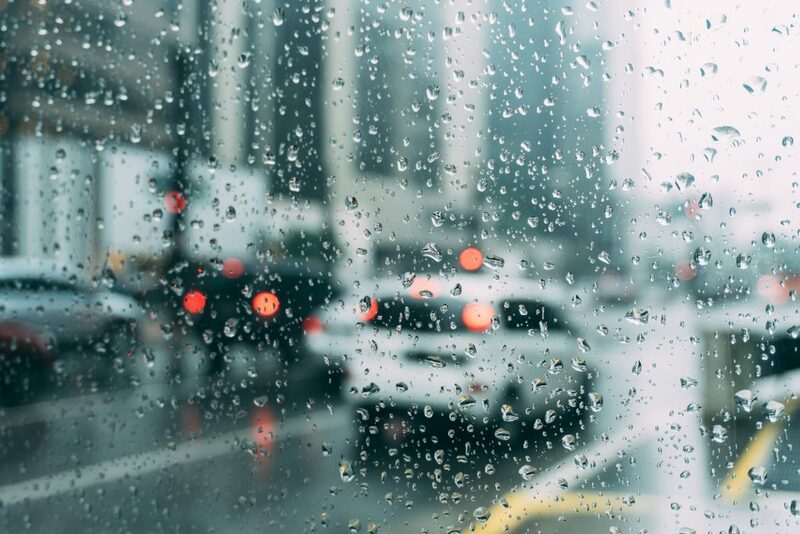 Rain might make you more nervous to drive, especially during darker winter months. Clutching on to the steering wheel, constantly readjusting her rear view mirror to get rid of headlight glare, looking to the side of the road to make sure she stays in her lane, and being worried she might run into someone or something. There are plenty of distractions out there when driving at night. When it is dark, your pupils dilate or open up to allow more light in. Then without a blink of the eye, you are bombarded by light coming from car headlights, street lamps, traffic lights, and blinking store signs. Halos and glare from these light sources make it difficult to distinguish what is what and where you are going. Your eyes work harder to focus on what is ahead of you. It is more difficult to see clearly out of your windows and mirrors. All of these conditions create an increased sense of nervousness and hesitation, and you want to get it over as quick as possible. 1) Get your eyes checked. During your annual eye exam, Dr. Ashcraft will look for any changes in your vision and eye health to ensure you can safely drive. Having the most updated prescription will allow you to see your best when you are on the road. 2) Wear anti-glare lenses. A special anti-glare coating (also known as anti-reflective, or “AR” coating) gets rid of reflections of light that bounce off the interior and exterior sides of your lenses. Wearing anti-glare lenses at night will greatly reduce the appearance of glare and halos. Besides increasing your confidence on the road, your reaction time, depth perception, and overall vision will improve. 3) Plan ahead. Try to leave your house for any appointments or errands earlier in the day when it is light out. This will reduce some of the stress of being on the road during low light hours. 4) Watch the weather. Try to avoid driving during bad weather conditions. When it rains, light reflected off the wet roads makes it harder to distinguish other cars, traffic lines, and traffic signs. If you do have to go out, be cautious of other drivers and allow extra time for getting to your destination. 5) Make sure your car windshield, windows, and mirrors are clean to reduce nighttime glare. Having good visibility is essential to safely navigating the roads. 6) Be prepared for the unexpected. It never hurts to have emergency equipment in your car just in case something happens. Keeping extra water, a car phone charger, jumper cables, tools, and an emergency blanket in your trunk can come in handy if you get into a sticky situation. Still have questions? Dr. Ashcraft can explain more about the types of special lenses made specifically for night driving. He can also check your current lenses for any scratches that may interfere with your sight. Your safety matters to us, so don’t hesitate to call us at (310) 670-4411!